Is Tylenol an Effective or Risky Nrf2 Activator? 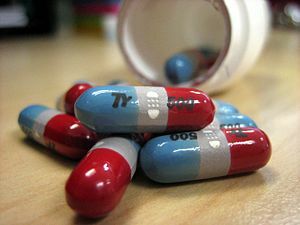 Tylenol is a brand name the US public is well aware of, (elsewhere is it commonly known as Paracetamol). It is advertised as a pain killer, fever reducer and commonly used to reduce the symptoms of allergies, cold, coughs and flu. As far as pain reliever market goes, Tylenol is number one with about 25% of the market share. The main ingredient of Tylenol is Acetaminophen/Paracetamol (APAP), although it also contains diphenhydramine. It has other ingredients including Caffeine. Does Acetaminophen (Main ingredient in Tylenol) Activate NRF2? What are the risks of using Tylenol, or other acetaminophen based products as a NRF2 Activator? Generally, acetaminophen is considered a well tolerated medicine when the correct doses are administered, but according to Drugs.com the following side effects may occur from consuming acetaminophen. When last did you see a list of side effects like this associated with natural NRF2 activators such as broccoli, strawberries or even NRF2 activator products made from botanical products? Hepatic: Alcoholic patients may develop hepatotoxicity after even modest doses of acetaminophen. In healthy patients, approximately 15 grams of acetaminophen is necessary to deplete liver glutathione stores by 70% within a 70 kg person. However, hepatotoxicity has been reported following smaller doses. Gastrointestinal: Gastrointestinal side effects have included nausea (34%) and vomiting (15%). Renal: Renal side effects are rare and have included acute renal failure, acute tubular necrosis, and interstitial nephritis. Hypersensitivity: Hypersensitivity side effects including anaphylaxis and fixed drug eruptions have been reported rarely in collaboration with acetaminophen use. Hematologic: Hematologic side effects including rare cases of thrombocytopenia associated with acetaminophen. Dermatologic: Dermatologic side effects including erythematous skin rashes associated with acetaminophen have been reported, but are rare. Respiratory: Respiratory side effects have included dyspnea and a case of acetaminophen-induced eosinophilic pneumonia. Cardiovascular: Cardiovascular side effects including hypertension and hypo tension have been reported following the administration of acetaminophen. Metabolic: Metabolic side effects have included hypokalemia. Metabolic side effects including metabolic acidosis have been reported following a massive overdose of acetaminophen. Nervous system: Nervous system side effects associated with acetaminophen have included headache (10%), insomnia (7%), and fatigue. Musculoskeletal: Musculoskeletal side effects associated with acetaminophen have included muscle spasms and trismus. Psychiatric: Psychiatric side effects associated with acetaminophen have included anxiety. Although Tylenol is the largest brand when it comes to pain killers it is not recommended that acetaminophen be used for the purposes of NRF2 activation. There are too many side effects that are not associated with other NRF2 activation products or foods. In fact studies recommend natural NRF2 activators to cleanse the liver of the toxicity caused by acetaminophen. As discussed in the following study. This article is for educational purposes only. Discuss your individual medical conditions with a qualified health care professional.